I picked up this Khaki knitted longline circle top in the River Island sale. 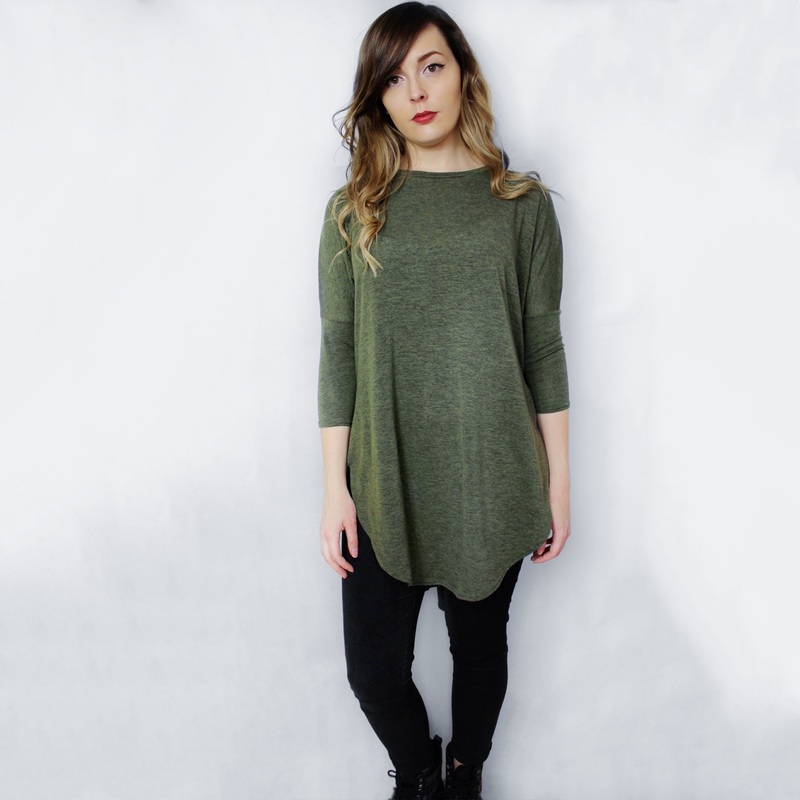 Its a lightweight knit with a crew neck and three quarter length sleeves. Its perfect casual top to just throw on.